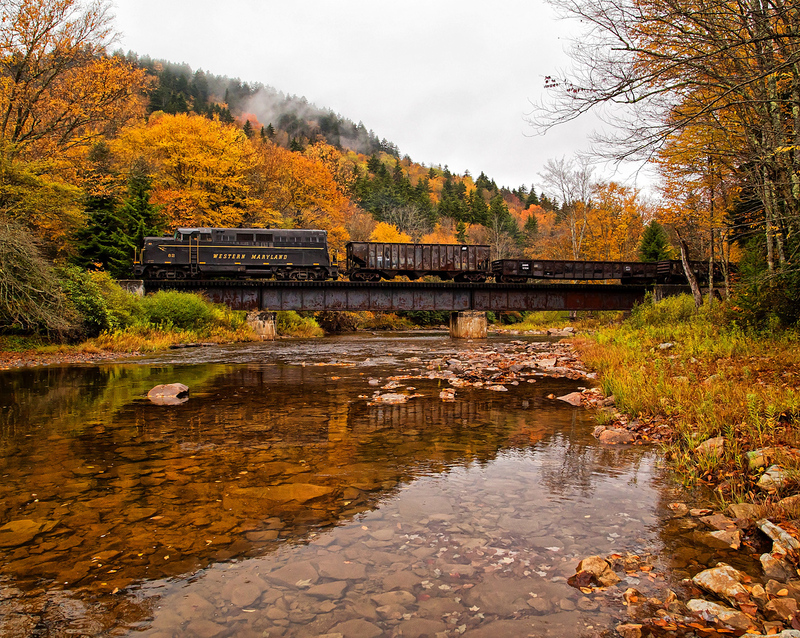 Lehigh and New England Railroad, "Industry's Freight Route"
The Lehigh and New England Railroad was likely the least known of the great anthracite carriers of the Northeast which included names like the Reading, Lehigh Valley, and Jersey Central. The L&NE had a very tumultuous history prior to its final organization in 1895 due to its small size, few markets served, and circuitous main line. The road's earliest ancestry dates back to the efforts in constructing what eventually became the Poughkeepsie Bridge, a key gateway for several regional systems. Once this structure was completed, after more than twenty years, the modern L&NE was blossomed into a respectable railroad. By the late 1950s with anthracite demand dying and no other means of traffic diversification the L&NE's ownership took the unusual step of voluntarily calling it quits. Most of the road was abandoned or dismantled while the Jersey Central acquired a few segments still handling relatively good business. Today, few remnants of this classic road remain in service. The L&NE’s history prior to 1895 is a very confusing and complicated affair involving numerous name changes, failures, and reorganizations. A detailed, but brief summary will be provided here. 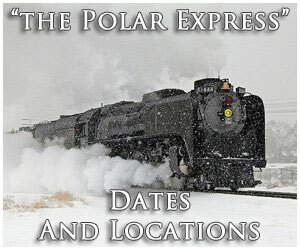 If the original incarnation of the L&NE had been brought to life it would have encompassed three different railroads providing through service between Boston, Massachusetts to Harrisburg, Pennsylvania via Poughkeepsie, New York and the northern tip of New Jersey. The segment related directly to the L&NE's heritage was known as the South Mountain & Boston Railroad chartered on March 13, 1873. It was intended to run from Portland, Pennsylvania along the New Jersey state line to Boston Corners, New York situated near the southwestern corner of Massachusetts. At the former location the SM&B would connect with the South Mountain Railroad reaching Harrisburg while the Massachusetts Central Railroad would build from the latter town into Boston. With financial backing at the start, grading commenced almost immediately although the financial Panic of 1873 quickly brought work to a halt. This was, essentially, the closest the project ever came to completion as there was never enough sound financial security in the succeeding years to see much construction carried out . 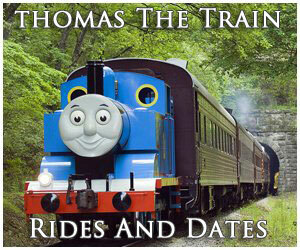 After numerous bankruptcies, foreclosures, and name changes (some of which included the Pennsylvania, Poughkeepsie & New England Railroad of 1879; the Pennsylvania & New England Railroad of 1880; Delaware & Slatington Railroad of 1881; Pennsylvania, Slatington & New England Railroad (1882-1887); and the Pennsylvania, Poughkeepsie & Boston Railroad 1887-1895) the Lehigh & New England Railroad was organized on April 2, 1895 following receivership of the Pennsylvania, Poughkeepsie & Boston. By the time the L&NE was formed the founder’s original plans had fallen far short of either Boston or Harrisburg. Its route at this time was much more modest, extending from Slatington, Pennsylvania to Pine Island, New York. The L&NE had reached no large markets except for the Allentown/Bethlehem area but the road found growing success in the anthracite coal markets of eastern Pennsylvania. These deposits were rich enough to support several railroads as the clean burning fuel was highly desired for heating purposes in the metropolitan regions throughout the Northeast. The L&NE truly blossomed following the opening of the Poughkeepsie Bridge on January 1, 1889. 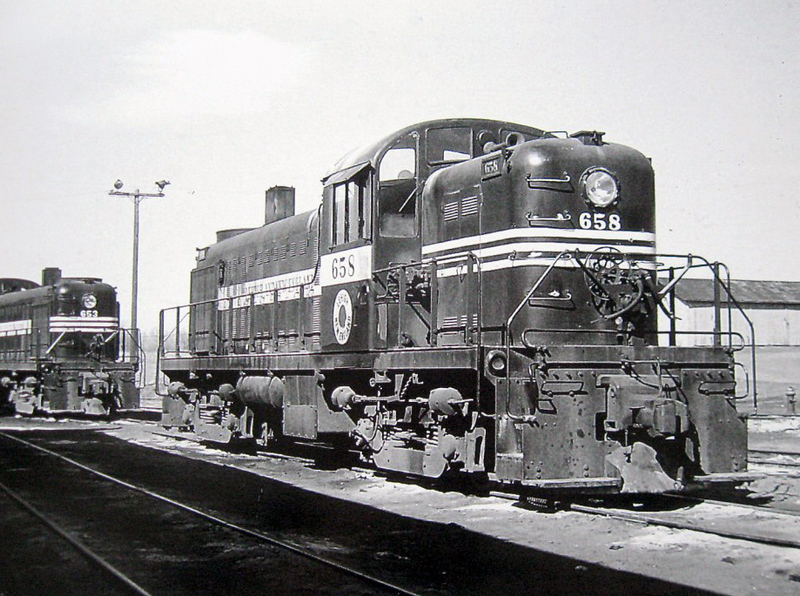 It was controlled by the Central New England Railway, later a division of the New York, New Haven & Hartford (New Haven), and offered an inside gateway for the smaller lines moving freight to and from New England. At its peak the L&NE’s system stretched a little over 200 miles; it ran from a connection at Tamaqua, Pennsylvania with the Reading, branched from Bender's Junction to the Allentown/Bethlehem area (this section also reached Bath, Pennsylvania and Martins Creek to the east), and headed northeasterly to Campbell Hall/Maybrook. At Campbell Hall the L&NE interchanged with the New York, Ontario & Western while the Erie provided a connection just to the south at Goshen, New York. 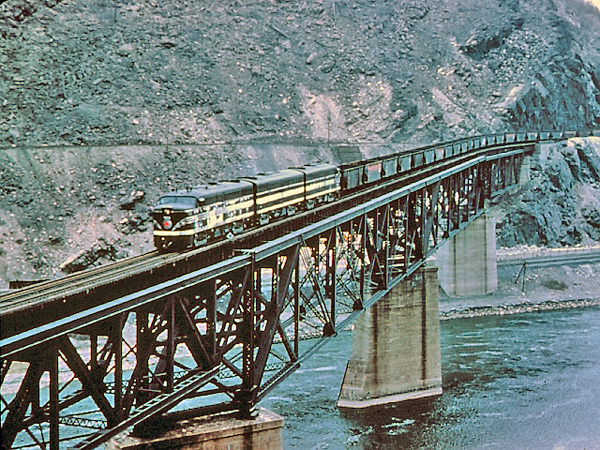 Other connections at the following locations included the Erie at Pine Island, New York; New York, Susquehanna & Western at Hainesburg Junction and Swartswood Junction; Pennsylvania at Martins Creek, Pennsylvania; Lehigh Valley at Stockertown, Catasauqua, and Lizard Creek Junction, Pennsylvania; Delaware, Lackawanna & Western at Portland and Bath Junction, Pennsylvania; Jersey Central at Bethlehem and Hauto/Nesquehoning, Pennsylvania; and the Chestnut Ridge Railway at Palmerton, Pennsylvania. The Lehigh & New England's "main line" was more or less a jumble of branches with freight generally moving to interchanges at Bethlehem/Allentown, Tamaqua, and the Campbell Hall/Maybrook gateway. The road's primary yard and shops were situated in the small town of Pen Argyl, Pennsylvania located towards the southern end of its system. While the L&NE served as a bridge line similar to that of neighbor L&HR it also carried a considerable amount of anthracite coal derived from online mines in addition to cement traffic from branch lines around Bath. According to J.W. Swanberg article, "Maybrook, New York: One Yard, Six Railroads, Cars By The Thousands; The Northeast's Melting Pot," in 1953 coal still comprised 48% of its annual carloads while cement accounted for 28% and general traffic another 25%. That year also witnessed nearly 31,000 carloads interchanged through the Maybrook Yard. 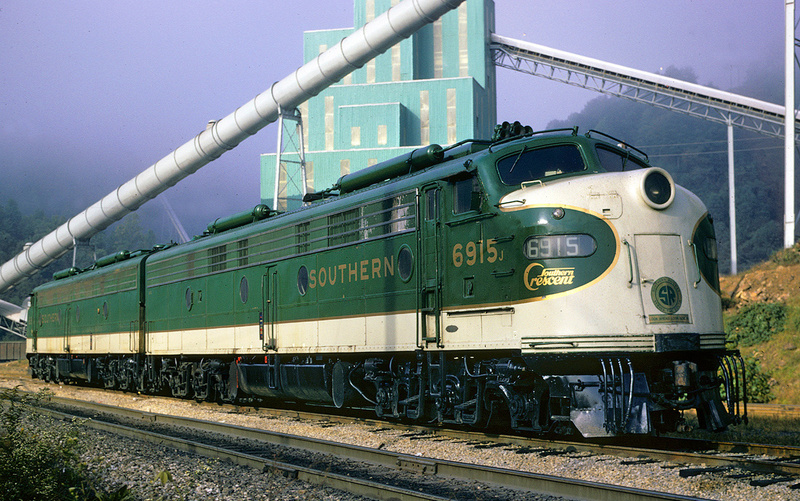 In one of the stranger moves ever carried out by a railroad its board of directors elected to cease all operations after October 31, 1961 despite the fact the company was still profitable. It is also surprising the Interstate Commerce Commission allowed the abandonment to take place given this fact. From the L&NE's standpoint it felt its future was bleak in the face of declining coal and other freight in a region already saturated with railroads. Within the next few years large segments were taken up while bridges were dismantled over the Delaware and Lehigh Rivers. A few of its routes were spared when the nearby Jersey Central acquired the Bethlehem-Martins Creek segment as well as its old line to Tamaqua. This ex-L&NE trackage was operated under a subsidiary known as the Lehigh & New England Railway. As Walter Kraus notes in his article, "Real Demise Of Rail Line Trailed Coal's Decline," from the August 24, 1989 edition of The Morning Call, the CNJ purchased this trackage for $10 million with the sale made effective following the October 31st shutdown. These lines included Tadmor Yard at Bath, the Bethlehem Branch, the Martins Creek Branch, trackage around Catasauqua, and the former Panther Creek Railroad to Tamaqua. The Central Railroad of New Jersey has gone by a number of different names from CRRNJ and CNJ to Jersey Central and its aforementioned official designation. Regardless of its many names the CNJ was a New Jersey institution for years although it was only regional in operation and at its peak boasted a system of just over 700 miles. The CNJ served much of New Jersey along with northwestern Pennsylvania, Philadelphia, and Washington D.C. via a partnership with the B&O. The demise of the railroad was the result of a number of factors including a region too saturated with railroads, stiff government regulation, falling traffic, and markets already served by stronger competitors. However, for all of these issues, a heavy tax burden by the state of New Jersey only worsened the CNJ's situation over the years and ultimately led to the railroad’s bankruptcy and inclusion into Conrail during the spring of 1976. After Conrail took over the CNJ much of the L&NE, along with the Jersey Central itself, was abandoned as its tackage was deemed redundant/superfluous. 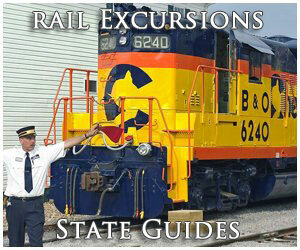 Lastly, there is one former L&NE diesel locomotive known to exist, S-2 #611. 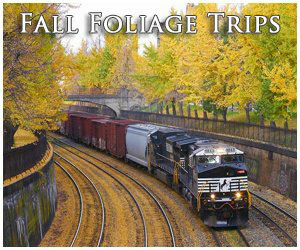 For many years it was owned by the Emporia Grain Elevator in Emporia, Indiana. However, in 2016 it was acquired by the Lehigh & New England Railroad Preservation Society and relocated to Topton, Pennsylvania. Working in conjunction with the Allentown & Auburn Railroad and the Lehigh Valley Chapter of the National Railway Historical Society the three groups plan to restore the switcher back to operating condition wearing its original L&NE colors and number. 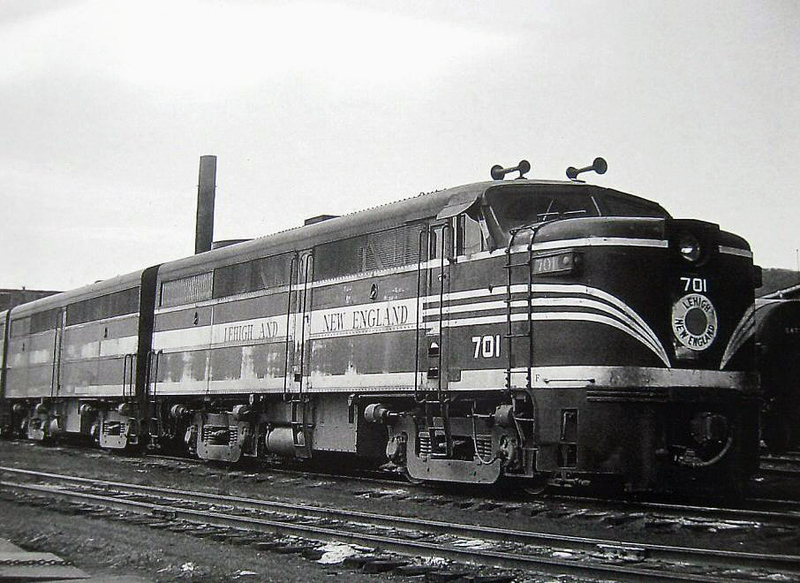 While the Lehigh & New England never operated a large diesel locomotive roster it did own a near all-Alco fleet including S-2s, RS-2s, and FAs/FBs. 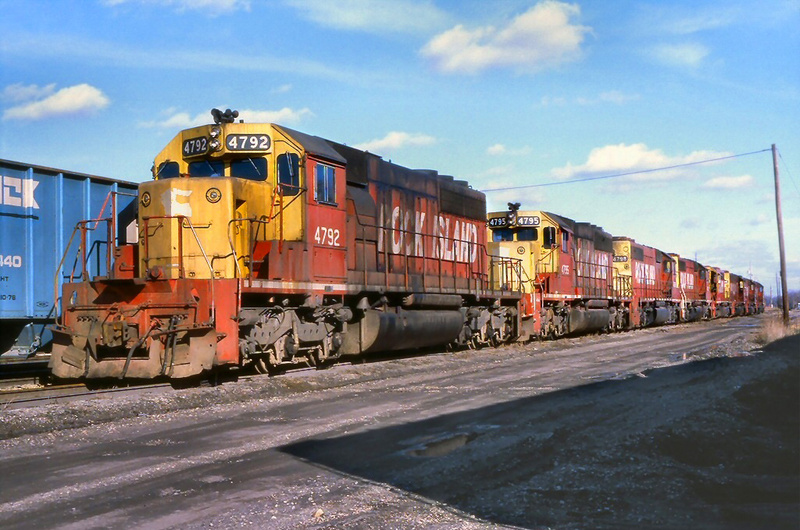 After the CNJ took over operations the railroad began using a small fleet of GP7s, RS-3s, and a single RSD-4. 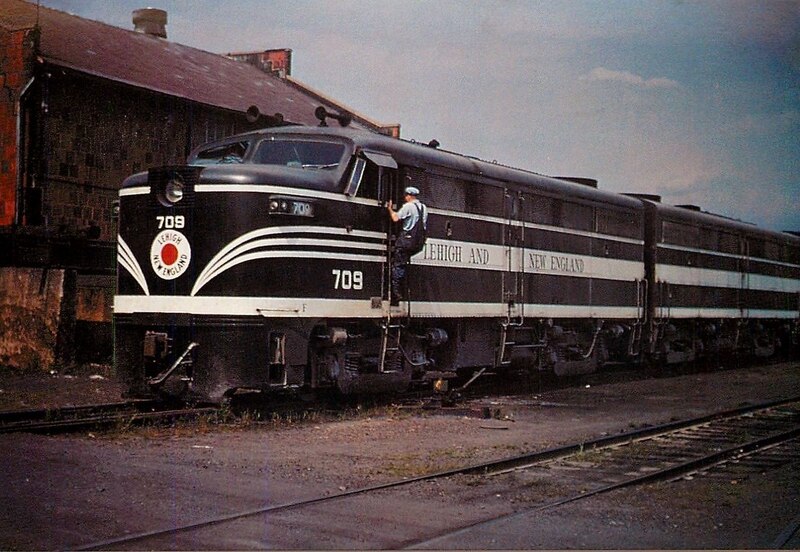 While the L&NE is often a forgotten Northeastern system, a result of its early cessation, the company has an interesting and colorful history as poignant as the elegant paint scheme worn by its locomotives (black with white pinstriping). 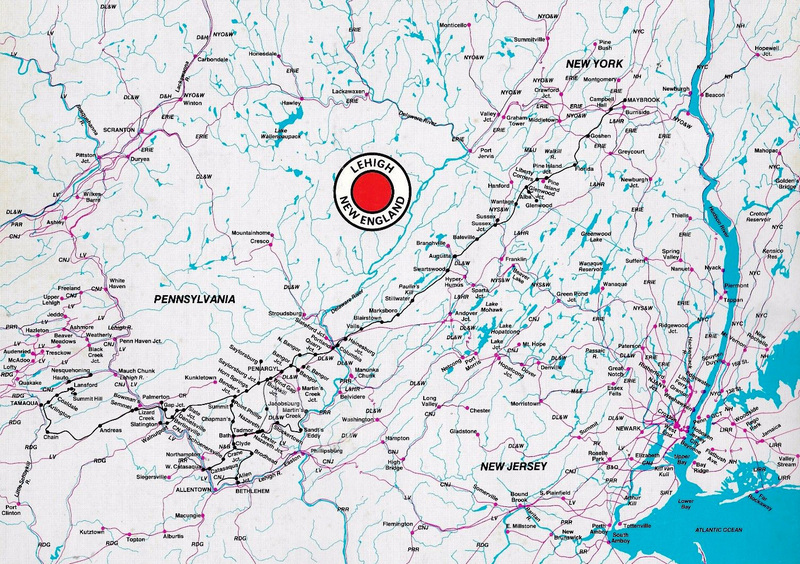 Interestingly, the road's voluntarily abandonment proved a wise choice with the downfall of the Northeast's railroad network just a decade later; in 1968 New York Central and Pennsylvania merged to form the ill-fated Penn Central. A year later it acquired the New Haven and slowly worked to close the Poughkeepsie gateway since it operated a direct line through New England. It got its way in 1974 when the bridge burned.